If you’ve still got an old mercury or mechanical contact thermostat, it’s easy to forget to adjust it when you leave the house or go to bed. 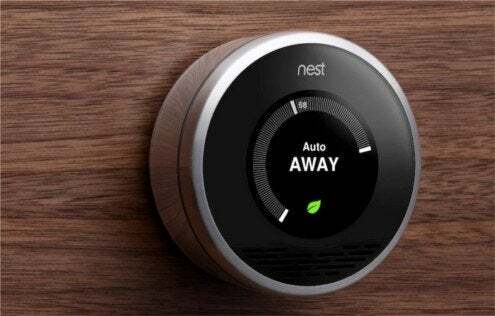 Electronic programmable thermostats allow you to set target temperatures for each day of the week and each period of the day, depending on your schedule. Look for models that will let you manually override the program if you need to without erasing the memory. It’s also handy to have a battery backup to save your program in case of a power outage. Detach the cover from its base plate and pull it out far enough to see the wires. If they’re thick, they’re probably line voltage, which means this is a job for a licensed electrician. If they’re thin like speaker wire, they’re low voltage, and you can connect them to a new programmable thermostat yourself. Programming the unit to set back 10 degrees for at least eight hours a day will save 10 percent on your utility bill, and your $100 programmable thermostat can pay for itself in a matter of months.